For those of you who aren’t on the current console generation bandwagon one of the more interesting games of the past few months is coming to Steam. Today Square Enix announced Final Fantasy Type-Zero is coming to PC’s Via Steam (Siliconera). I personally really enjoyed the game and have almost Platinumed the PS4 version (just three more Trophies to go) so I’d say certainly go check it out. As far as I can tell there is not much information regarding changes between the versions so I’m assuming it’s going to be a direct port. 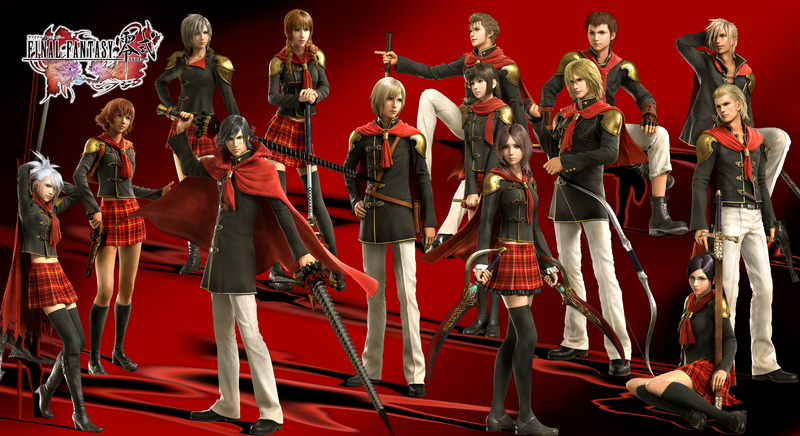 Square Enix have announced Final Fantasy Type-0 HD for PC. In the larger scheme of things this is just another marker in the trend of Japanese publishers finally starting to see the value in the PC platform for game sales. I’m hoping Square Enix continues this potentially with a Final Fantasy XV port which by the day is looking more and more likely. Update: According to Siliconera Square Enix tweeted more information regarding the upcoming release. That the new version will have “Graphics Options” and upgraded battle and camera control. Although I personally did not feel there was any real issue with the camera once you got used to it MANY people disagreed. Also I’m pretty sure people are going to be hoping the motion blur that has become a flash point with the game will be cut down as well.